Nathan Eovaldi has battled back from two Tommy John operations to become a Major League star. 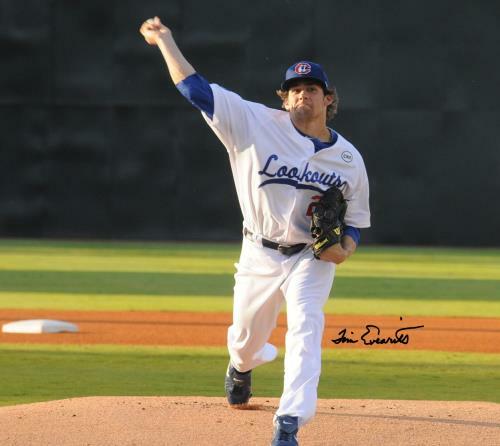 The former 11th round pick for the Dodgers began the 2011 season with Chattanooga, where he went 6-5 with a 2.62 ERA in 20 appearances (19 starts). He was promoted to Los Angeles and made his debut on August 6th. He went on to go 1-2 with a 3.63 ERA in 10 appearances for the Dodgers. In six postseason appearances, including two starts, Eovaldi went 2-1 with a 1.61 ERA, a .185 opponent batting average, 16 strikeouts, and three walks. In the ALCS against the Houston Astros, he started Game 3 and gave up two runs in 6.0 innings, then threw 1.1 scoreless innings in the decisive Game 5. He appeared in each of the first three games of the World Series, throwing a perfect eighth inning in Game 1 and again in Game 2. In the Red Sox' 3-2, 18-inning loss at Dodger Stadium in Game 3, Eovaldi started the 12th inning and pitched the rest of the way, allowing one run in his first 6.0 frames before Max Muncy led off the 18th inning with a walk-off home run. 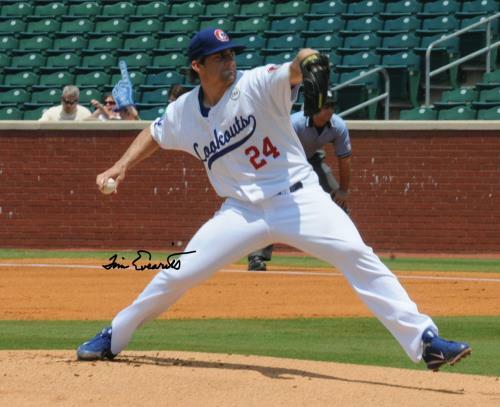 Eovaldi is 44-53 with a 4.16 ERA in 156 major league appearances (148 starts) for the Dodgers (2011-12), Marlins (2012-14), Yankees (2015-16), Rays (2018), and Red Sox (2018). Nathan Eovaldi pitching for the Lookouts at AT&T Field on May 20, 2012.